My friend and fellow Nikon Ambassador Ami Vitale is having a tremendous year. A couple of months ago, she won first prize in the 2018 World Press Photo awards in the nature category for her story on the work being done by the Reteti Elephant Sanctuary in northern Kenya. Her story, which first appeared in National Geographic, offered a glimpse of hope for how local attitudes can shift from one based in fear to one based in conservation and opportunity. That project was the basis for a video for Conservation International. 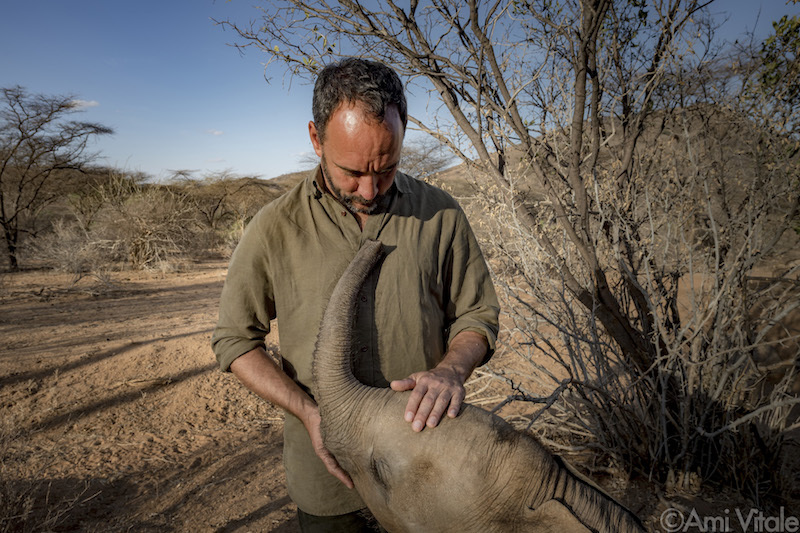 Directed by Ami and produced through Novus Select, the film stars the musician Dave Matthews, a native South African and a passionate conservationist. After months of work, it’s finally finished, just in time to become a part of Dave Matthews’ global tour, as well as be shared on social media and online. The film is also being used as a promo for a Prizeo campaign in which a $10 minimum donation to the Reteti Elephant Sanctuary can potentially in you tickets to a Dave Matthews Band concert and a VIP trip to Kenya to see the sanctuary. More details here. Though I wasn’t directly involved in this project, I’ve been happily watching it evolve and get stronger and better with each iteration. The footage is gorgeous and powerful—great job Novus DPs Dane Henry and Brett Lowell! Excellent directing, Ami Vitale! Best of all, Dave speaks truth to the reasons why we all need to care about saving wildlife. Incredible job to all involved! This story also struck a chord for me, as I traveled to this region of Kenya with Ami several years ago to profile her for a Nikon project that launched the KeyMission cameras. Ami’s drive and passion for wildlife, conservation, and storytelling never ceases to amaze me—and that certainly shines through with this story. Hope you love this piece as much as I do, share it, and consider supporting Conservation International and the Reteti Elephant Sanctuary so that we can see more locally run conservation initiatives spread across Africa.